TRD OFFROAD 4X4 **BACK UP CAMERA**PUSH TO START****KEYLESS ENTRY WITH REMOTE START****EXTRA COMPREHENSIVE EXTENDED WARRANTIES AVAILABLE ON DEMAND. 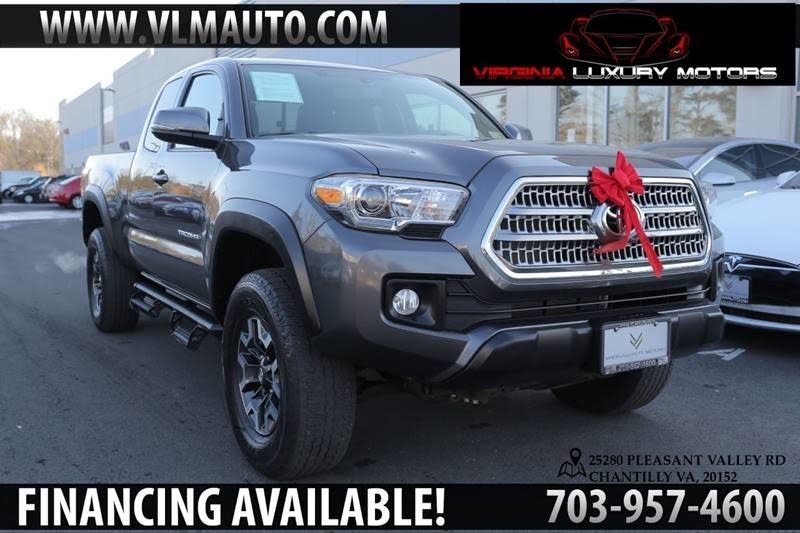 Visit Virginia Luxury Motors online at www.vlmauto.com to see more pictures of this vehicle or call us at 703-957-4600 today to schedule your test drive. We try our best to list all options and details carefully however typos and human/machine errors are possible,? please call in advance to confirm any specific options,? colors,? condition related questions to avoid any confusions. We train our sales staff regularly however any verbal claims or promises made by the employees of the dealership are not valid unless expressed in writing. Price does not include a dealership processing fee of Six Hundred and Ninety Five dollars. All sales are AS-IS unless expressed otherwise in writing. Vehicle accessories such as extra keys,? floor matts,? books,? navigation disc,? shift knobs etc may not come with the vehicle however we can always order these items at our discounted dealership prices which are to be paid by the customer. APPLY FOR AN AUTO LOAN OPEN MONDAY THROUGH SATURDAY: 9AM TO 7PM SUNDAYS: 12PM TO 5PM EXTENDED HOURS ON APPOINTMENT.